This week we’re back to the start of the millennium with Thor v2 #26! The Absorbing Man is back! And he needs a doctor! Sif has *really* long fingers, Odin falls alseep again, Keith Kinkaid comes back long enough to be smacked in the face with a ball & chain! RFA! It’s what the doctor ordered! Listen to Episode 316 now! You all know who this guy is, he’s Erik Larsen, the creator of “Savage Dragon”. Erik has been incredibly busy these days getting the 200th issue of Savage Dragon ready to hit the shelves on December 3rd, so we couldn’t be happier that he’s taking a few minutes out of his busy schedule to talk about it. 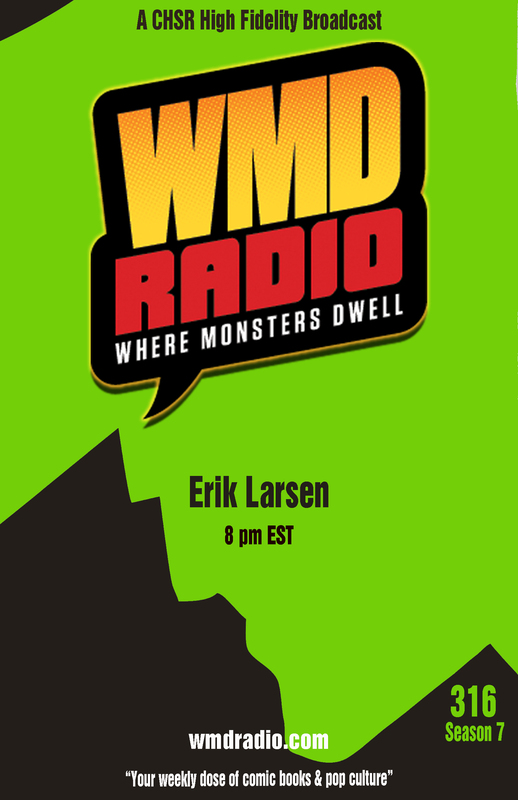 If you have a question for Erik about Dragon’s milestone issue, or anything else, now is the time. AND don’t forget to check out our November Contest! We’re giving away a HUGE Walking Dead prize pack! Click here to find out more!